We are pleased to announce a new release of StoriesOnBoard. 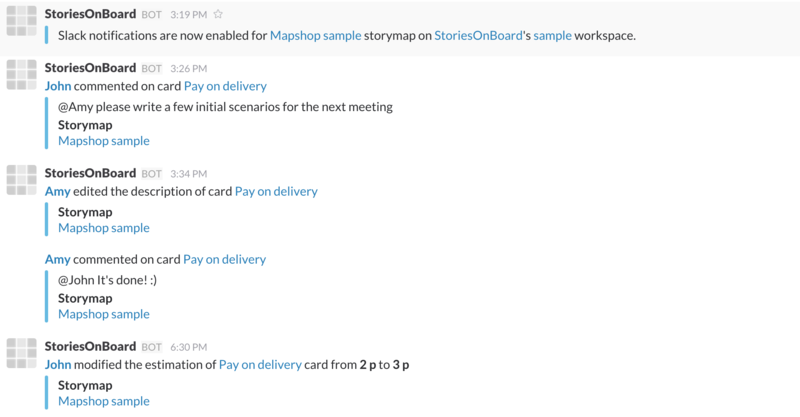 This release is focused on collaboration with comments on cards and Slack integration among others. You can have short discussions on cards also with mentioning other collaborators. Line-breaks can be put with Shift+Enter. 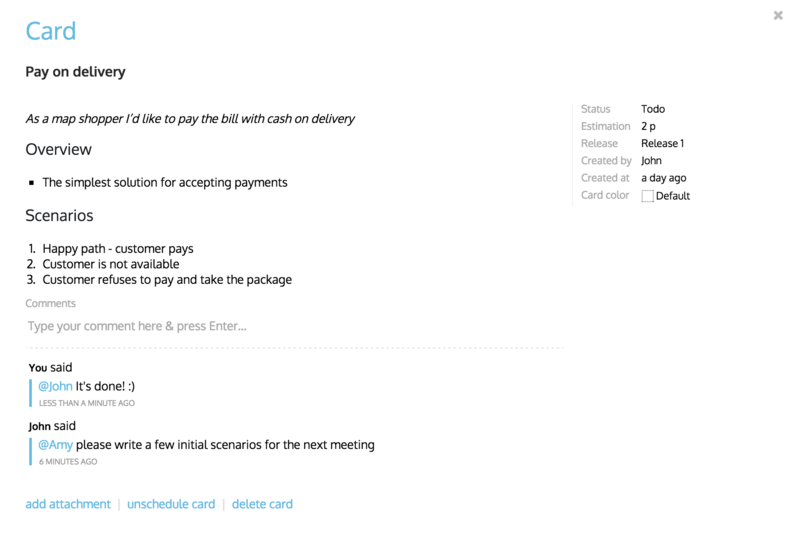 Collaborators with viewer role can also comment the cards if “Viewers can comment on cards” option is enabled in board settings. Mentioned collaborators will get a notification about the comment in email and also on the board. Your team can get notifications about changes on the board in Slack, FlowDock or HipChat. When the connection is set up successfully, you’ll get an initial notification about that in the connected tool. 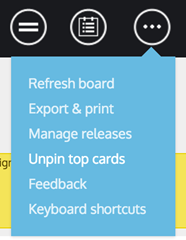 Release labels are always staying visible on the left, but pinning of the top two rows can be turned off in the board’s menu. 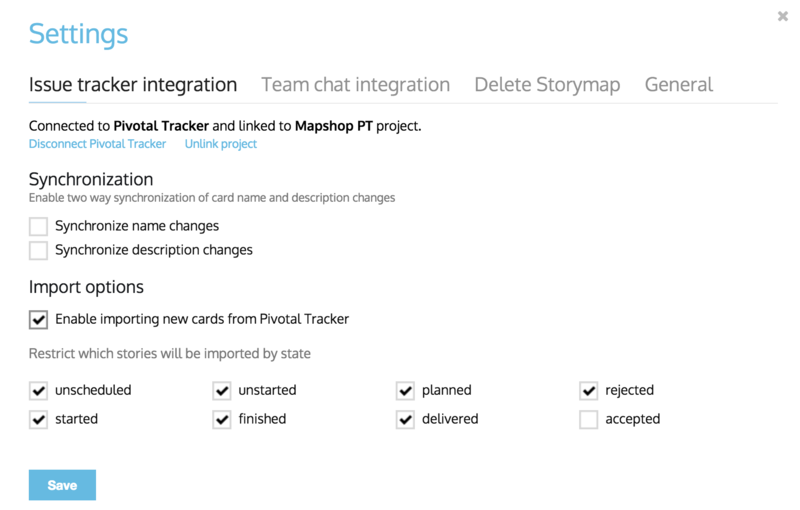 Now you can unschedule or push the selected card to a connected issue tracker with the keyboard and open an issue in the issue tracker with an Alt + Click. 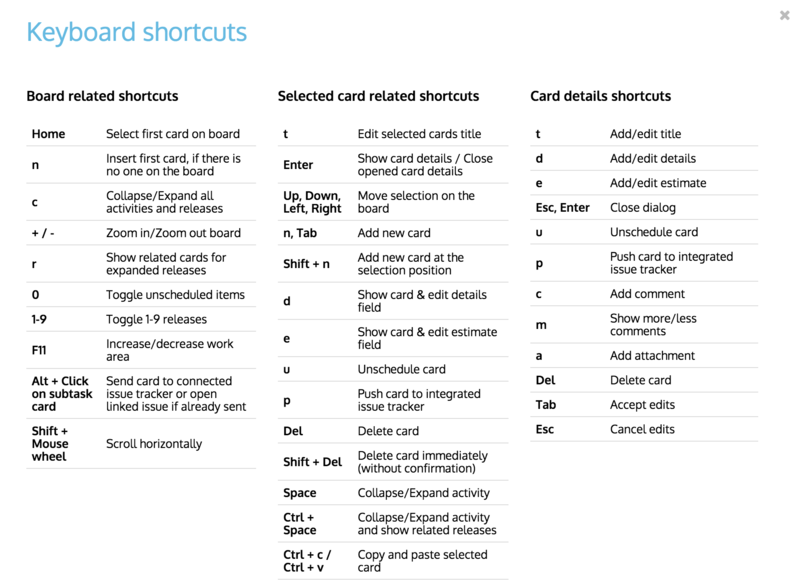 Get help on all the available shortcuts with the question mark on the keyboard. Archived cards are ignored when importing from Trello and closed issues can be excluded from JIRA import if this option is enabled in the board’s integration settings. 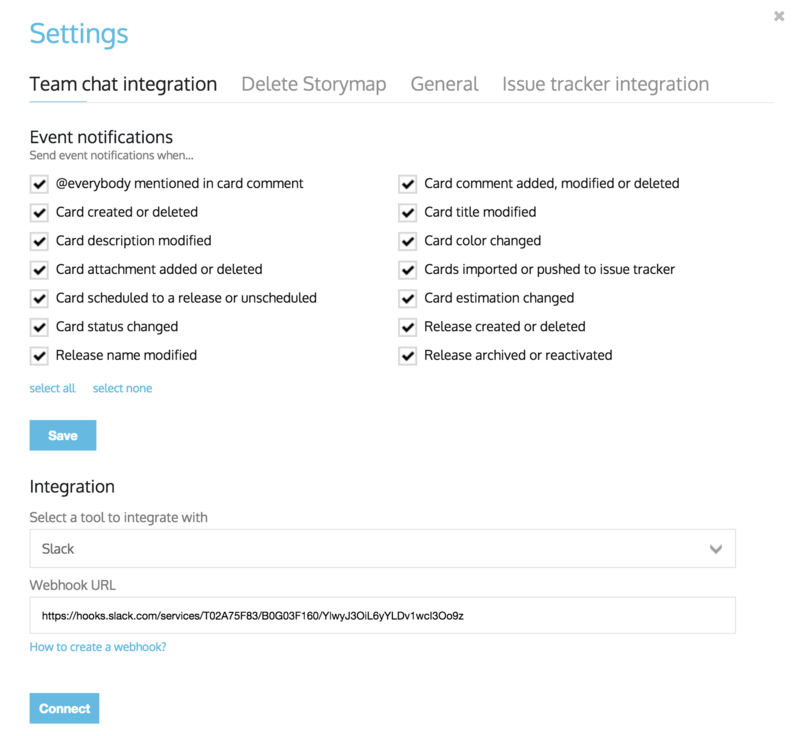 Importing stories from Pivotal Tracker can be filtered by the stories’ statuses. If there are many maps in your workspace, but you usually work with only a few, you can favorite those. Favorite maps are appearing first in the list of maps.